Holy crap...these things are getting nuts lately. I've been trying to push Medals and bases to try and get spark essences finally and been running into some nice stacked 3* R3/30 or higher bases with what I can only assume must be some good duped 2 and 3* harm accelerators. Even on a node with a bot that doesn't even take advantage of it as long as they make you stall the fight out you're hurting bad. Eesh. Yep, they're hilariously broken. The only response I've ever gotten was "use MV1 Optimus". People are placing three Harms (1,2,3*) per base because a 1* Harm is better than 3* anything else besides maybe repair node. Raids in general need a massive balance overhaul. if u can't fight them.. join them. keep hope to get harm accelerators and arm them all over your base. Yeah, Harm accelerators are weapons grade stupid. The lack of response to how broken they are is even worse. The fact that they will only get more broken from this point on doesn't bode well for the future of the game. They are basically MCoC thorns, times 3 with less ways to mitigate damage. Apparently every base has at least 1-2 Bonecrushers with Accelerators now. I've seen some Ultra Mags with one too and just tank the crap out of you until you crash and burn. I guess I need to level my Bay Optimus next to have a counter to these Crushers..ugh. As you said earlier, the entire raid mode is poorly thought out. But hands down the Harm accelerator is by far the most broken part. When it's routine to see 1 star Mods in use instead of the 4 star alternatives, you know it's stupidly broken. It's idiotic that higher level raids are basically impossible without one particular bot, and even in that case it's a war of attrition. It's so common to see Grindor on the first node with a Harm accelerator, that I'm almost shocked when it doesn't happen. Even in a perfectly fought fight your MV1 can still be at half life or worse. If for some reason you can't bait his s3 (which given time constraints under the HA is common ) you can actually die while being absolutely flawless. Again, hands down the worst part of the game. Crickets from the Kabam folks though. Thanks for the feedback. We'll pass this on to the team for future consideration. As you guys know, we'll be making continuous balance changes to the game as we move on. This will include modes like Raids, as well as characters and mods, so I will make sure that the frustrations with Harm Accelerator, and the raids mode in general is noticed. Thanks Miike. The game is only a few tweaks away from being great, so developers responding to feedback would go a long way. I think raids would be sufficiently improved with only a few changes. Harm Accelerator nerfed... heavily. One thing that would balance it would be to first remove the stacking aspect and to have HA mod remove the 3rd attack of the defender. This would enable people to fight strategically instead of stuck under a timer deadline. Otherwise the damage simply needs to be massively scaled back. Raid credits should be way more protected than they are. As it stands right now you need to spend immediately or you will see the vast majority of your earnings taken. This is frustrating to say the least. If there was a way for people to protect more of their raid chips other than shields, people will actually get to alpha catalysts shards and remove another major complaint about the game. All are pretty simple fixes that would VASTLY improve the game. In all honesty, if HA is nerfed heavily, though, there would need to be other balance changes... because as it stands, even with HA as powerful as it is, it is extremely tough to defend your base. If anything, what I would change about HA is to put diminishing returns on the +bleed per each special. Other than that, the mods NEED to be powerful. I would worry more about buffing the other ones than nerfing the one strong one.... as it stands, raiding is too easy across the board, HA is just imbalanced compared to the other mods. And yeah... MV1 is the counter to HA. The game is very young though, in infancy stages as I see it. There will be more counters to HA in the future, maybe even complete bleed immunity. So we don't necessarily want them to blow up the way the game operates now just because HA is something people are having a hard time with when they are still building their accounts and don't have the counter to it yet. I totally agree. If Harm A. gets nerf then you basically cant defend your base. I would suggest a balance, nerf Harms and also take away raid repair/revives. The way I look at it is, Mods are there so you can defend your base with weaker bots . If you weaken mods then you are left with dubs for defenders or worse waste resources on defenders that could have gone to fighters. Raid repairs should NEVER have been part of the game in the first place. Takes skill out of raiding completely. I thought this of MCoC war as well. Obvious pay to win is obvious. I find harm accelerators are not hard at all to deal with once you get to the 4/40 3* level. I dont even have to use MV1 anymore. I have 200 alpha fragments total, so they still hurt plenty. Base mods could be collectively underpowered, but the harm accelerator in particular punches far above anything else available and that's the problem. How to deal with Harm Accelerator in terms of easiest to hardest. 5. Any bot with a high amount of damage. Oh and the best tip I can give is don't get hit. I concur.. +bleed per each special is just plain dumb. Make the stacking bleed from HAs happen only IF A SPECIAL HITS and not when you manage to dodge them!!! Also the DAMAGE and DURATION of bleed from it needs to be NERFED ASAP!! All you need to do for easy base defenses is to put Harm Accelerator 1*, 2* and 3* on ALL YOUR 3 PRIMARY NODES and you're guaranteed easy wins each time when enemy attacks you!! which is ***king game breaking!! +bleed per each special needs to be removed from harm accelerators. Doesn't make sense that when you manage to avoid a speical the bleed stacks +1 to your bot! Also the damage and duration from it needs to be NERFED asap. All you'd need to do to make your defence super strong is to equip 1*,2*, and 3* harm accelerators on all your primary nodes to make it hard for enemies to conquer your base! Which is game breaking design to begin with! Defensively triggered bleed in general is a broken skill, or any DoT skill that triggers When getting hit (Rhinox/shock) When bots without HA can kill you without even landing a single hit, there's a problem with the balance of the skill itself. And don't start with the "just shoot ranged" argument. That is besides the point completely. DoT defense skills are broken. Bonecrusher is just way over the top, so he's the one that gets noticed, and bleed is blamed when it is actually the mechanism by which it is triggered. HA doesn't need nerf, every other mod needs a buff. Base defences are laughably weak and this has a run on to everyone's ability to save raid chips, which is a much larger source of frustration to many. Hopefully the next patch will rework raids. Rhinox is fine, his damage is completely avoidable and he is actually fun to fight since you have the mechanic of removing his shields first before unloading. This depends entirely on how far into the game you are, and if you have an MV1 prime or not. Once I maxed out my MV1 prime, the HA became a non issue. Before doing so, it was often a game breaking device. If I didn't have an MV1 Prime, I couldn't raid at all. No matter how you look at it, this is a broken system. Just because I'm lucky enough to have an MV1 Prime, and got to the point of grinding an alpha essence rendering the Harm accelerator less of a problem, doesn't mean I not recognize how stupidly broken it is. While we are at it, something is outright broken with Waspenator and Laser Guidance. Ive seen a two star wasp one shot a level 30 3 star bot. Harm accelerators can be handled with mv1. Wasp with laser guidance is worse, lol. Maybe I'm getting a bit old and my reaction time isn't what it used to be, but I swear his projectiles reach my attackers before they leave him. Not everyone has mv1 so please don't generalise. 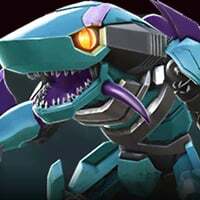 Problem is harm accelerators being so strong it itself could easily take out one bot or make your bot low hp even when you play excellently (dodging all attacks). Game should reward you for playing well and not penalising you! That's why it needs to be fixed! Wasp with laser guidance? Would fight that any day over a grindor or bonecrusher with a 3* harm accelerator. At least I know it's vs me fair and square. If I'd use a good 3* mirage, barricade, arcee or some high evade bots you think that Wasp can do much to them? Plenty of ways to counter that. That's the real problem. As the game stands right now there is one solution to Harms and one only: MV1 Prime. It doesn't matter if everyone has him, it's still forcing character selection which means the metagame is dead and/or broken. Go ahead and buff other mods if you like, there's a handful of bots that can counter each. Harms? Gotta level that Prime. The problem with the game right now is there aren't enough bots. Eventually there will be multiple bots that are a counter to HA, but right now it just happens to be one bot. Look at it this way, right now there are 20 bots. 1/20 of those bots is a very good counter to HA. If you look at a game like MCOC, They have roughly 100 champs. So I guess my question is, if there were 5 champs out of 100 that were bleed immune and direct counters to HA, would you still consider it generalizing if someone said "hey, just use a bleed immune bot, thats what they're for"? The bottom line is, more bots will be added. 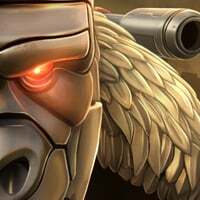 As more bots are put in to the game, some will end up being counters to HA. Let the game grow a little and we will have more answers to HA. For now, the answer is MV1. If you don't have him yet, you need to keep playing until you do. That's just how this style of game works -- part your ability is going to be your skill, and part of it is what bots you have collected. Don't have a square peg for the square hole? Well, then you're going to have more trouble. There is no way to remove his shields without melee attacks so I don't see how you can say the shock damage is completely avoidable without only using ranged attacks. He's not nearly the problem BC is, but he is still a bot you generally have to take mandatory damage against when fighting, unless his ability happens to never trigger. Or perhaps they shouldn't put the horse before the cart. Remove HA until more bots are in the game that can counter it. It's really stupid that a portion of the game is walled off to people that don't have a single bot.